I`m pretty sure nobody will ever pay 50 Euros for this one ( I paid 50 cents). If that last record was silly this is stupid. The equivalent to a chauvinistic 60`s Country & Western record. 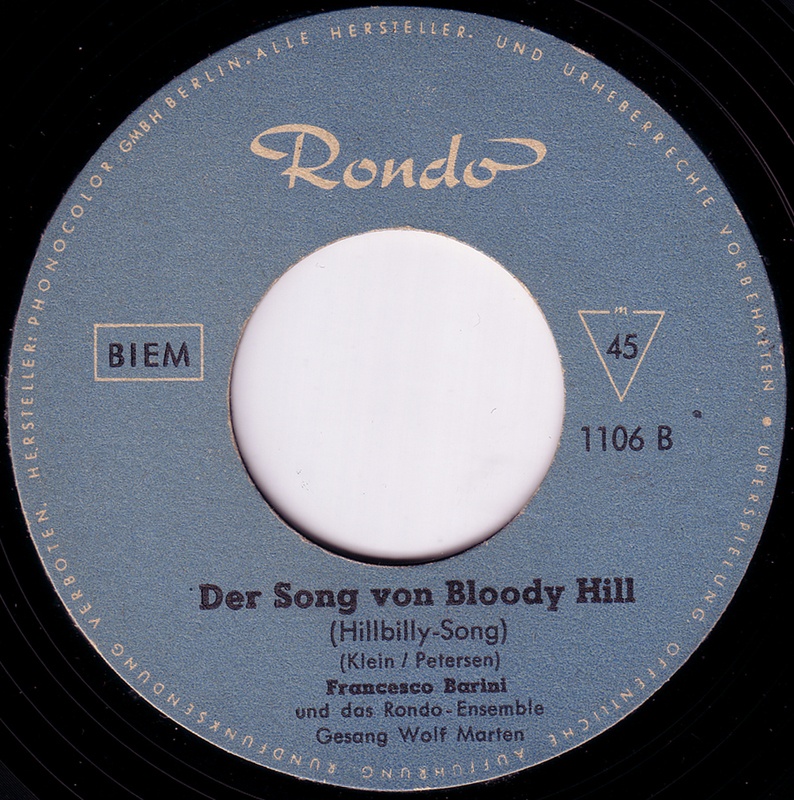 Actually this is a Hillbilly song but a very German one, even sung with a thick Bavarian accent. The lyrics are about swapping wives: a rich old one for a young pretty one. I know it all sounds terrible, but I love it. No information about the artist or the Cartoonist Kurt Franke to be found on the Internet . 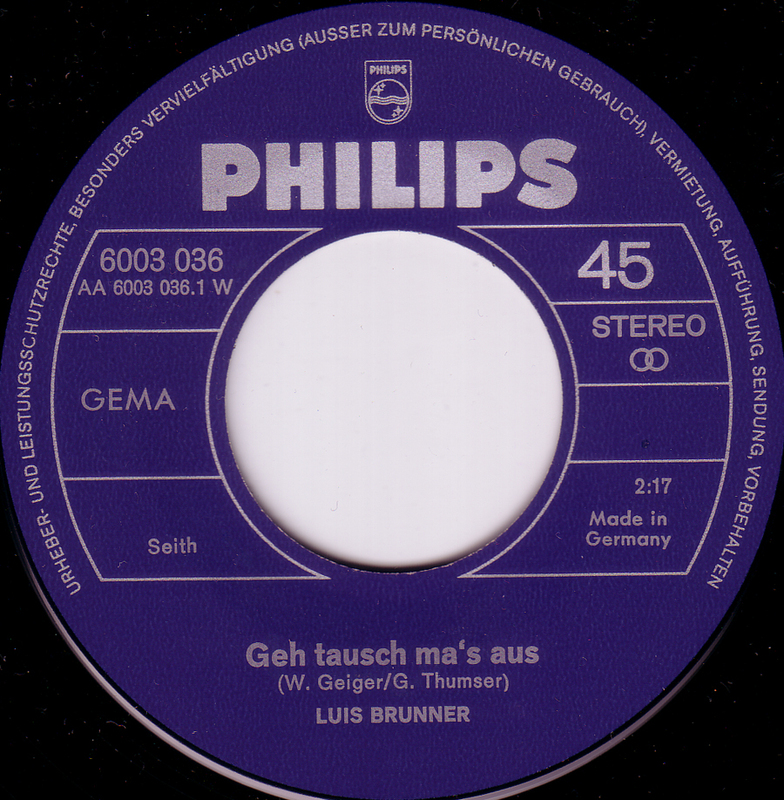 In the late 50s and early 60s a single 45 rpm record cost about four German Marks. At that time that was a whole lot of money. If you were not fanatical about your music, i.e. a Rock`n`Roll fan you would think twice about spending your hard earned Marks on a Elvis record. That`s where the budget labels came in. For less than half the price you could get the same hit song sung by a nobody. It might not have been the real thing but at least now you had some new music to throw on your turntable. 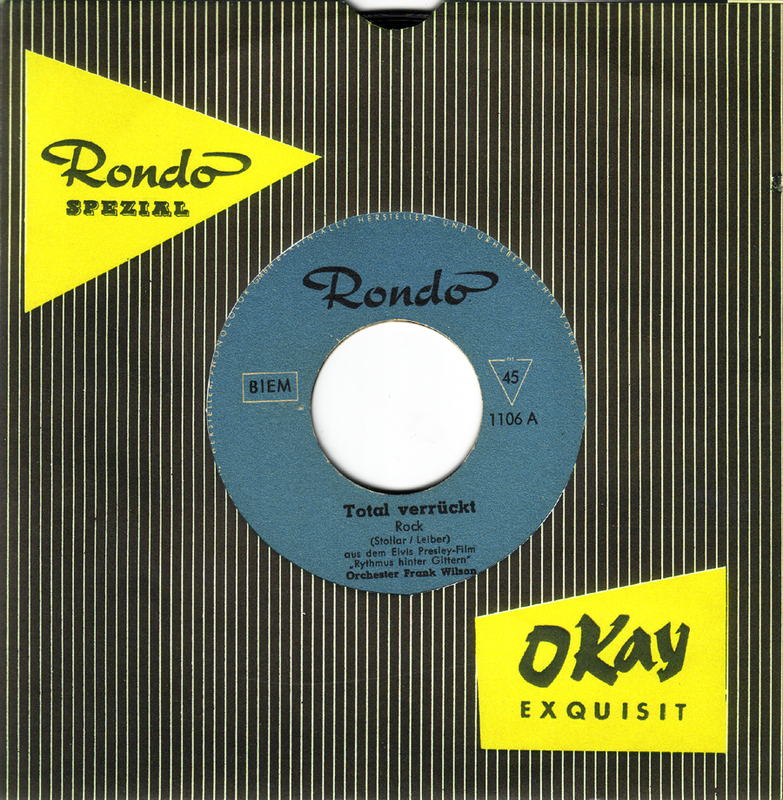 Okay and Rondo were two budget labels from Berlin, both manufactured by Phonocolor. They produced mostly flexible records of varying flexibility but also some vinyl. 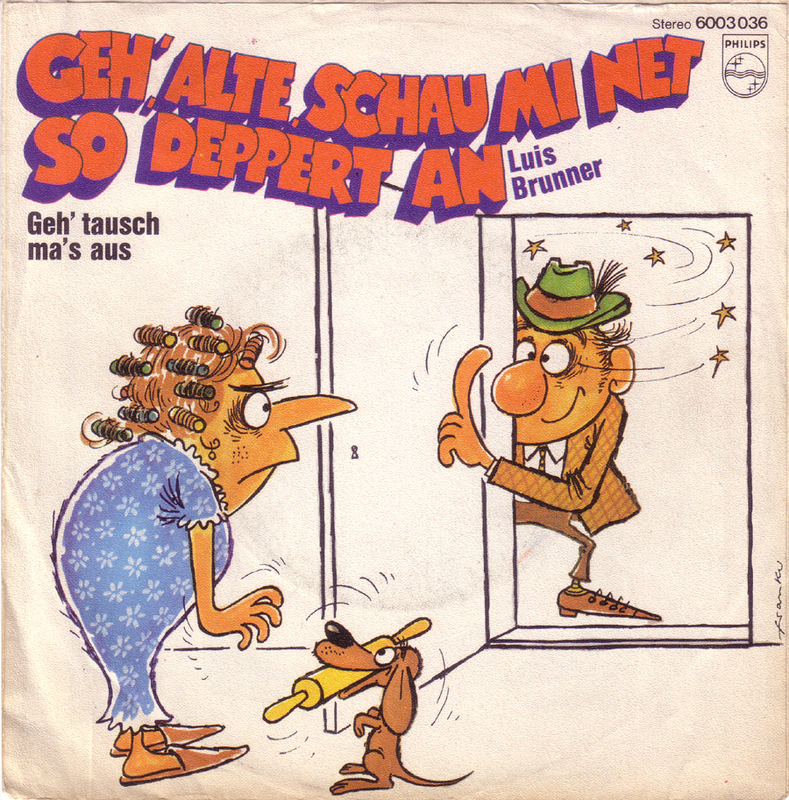 The records were not sold in record stores but at newsstands and in the first supermarkets, that were established in Germany in the 50s.